What is the unit suited for? 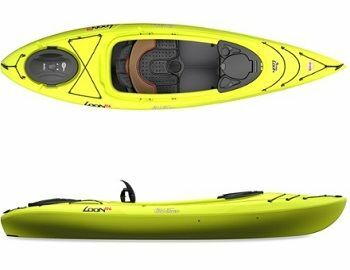 When it comes to recreational kayaks, the Old Town Loon 106 Kayak is amongst the best options on the market and there is no doubt about it. It is also convenient for fishing but it’s not mainly designated for it. Kayaking is something incredibly intricate and interesting and it doesn’t really require a tremendous amount of skill and experience. Of course, if you are going to be speeding down a fast-moving whitewater current, the aforementioned is absolutely false and you have to be an expert in order to ensure that you are not putting your life in danger, even though you can never be too sure. However, if casual and recreational kayaking trips in still water damps, lakes and ponds is what you are looking for, then you really don’t need to be a professional. The only thing you’d need is a nice kayak. This is where we step into the picture. 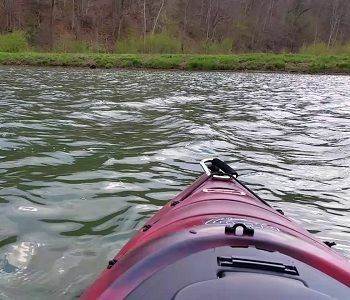 We’ve taken the liberty of reviewing the Old Town Loon 106 Kayak in order to provide you with an overall outlook on the things that you might want to take into account when it comes to it. This is a great unit and it definitely has a lot to offer. Well, it’s mainly designated for recreational trips. However, if you are eager enough, you can easily use it for fishing as well. However, keep in mind that this is not its main designation. It’s under 12ft and it is considered to be a recreational unit. The overall open design of the cockpit is something which adds to the comfort of the product. It is lightweight and compact, making it a bit easier to carry, even though this is an ever-present concern in all of the hardened PE-constructed kayaks. Now, let’s take a quick look at some of the important characteristics that you want to take into account. As we mentioned before, this is a kayak made out of high-end polyethylene. It’s a hardened construction, providing it with the reliability and durability that you might be looking for. 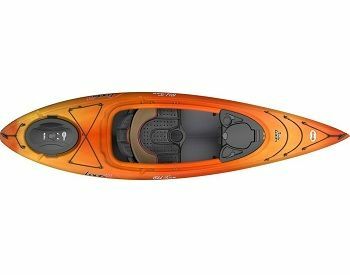 The new thing with this particular series of kayaks is the completely revamped hull design. It is going to provide you with straight tracking capabilities as well as with effortless and smooth glide. It comes with a very convenient and ergonomic, plus ACS2 seat. This is equipped with intuitive adjustments so that it can make everything easier and a lot more comfortable. The seat also offers under-leg support as well as high-end flow-through ventilation to provide any potential perspiration. The padding is also absolutely premium which is going to bring in the necessary comfort and convenience. This is pretty much the most advanced seating system which is currently found on the market. The hull design features an open cockpit which is particularly convenient for a range of different reasons. Sit in kayaks are also slightly more convenient as they are unlikely to get you wet as much as sit on top options. Now, these are two of the most important considerations that you have to take into consideration when picking up a kayak. Starting with the length, this is a recreational type (under 12ft) kayak which measures 10ft and 6 inches in length. This is a short unit, which is something that you need to account for. Short kayaks are slower in comparison to their longer counterparts. However, they are also far more maneuverable – this is also something that you want to take into consideration. This is something which allows beginners to maneuver a lot easier and to make sure that everything is handled better. Additionally, this is a sit in unit which is going to ensure that you are closer to the water surface, hence allowing you more paddling potential and force – this is something rather important that you have to consider. The width is fairly standard. At 31 inches, it could even be said that it is a bit narrower in comparison. However, the overall construction of the unit makes it quite convenient when it comes to paddling and stability. It is good initially and also later on when you are actually paddling. As you can probably figure it out already, this is a paddle-propelled kayak which is going to require the strength and motion of your own two hands. It’s also a solo unit so you can’t rely on anyone else to help you out. This is, however, something which shouldn’t concern you one bit. The kayak is so conveniently and seamlessly designed that paddling is an absolute breeze. Now, the weight capacity of the unit is set to 325 pounds which should be more than enough to carry your own equipment. There is a dry deck for equipment storing which is also quite convenient. It is worth noting that this is not the best unit for fishing. The overall design doesn’t seem to have had this in mind and there are no fishing accessories. It is not designated to provide you with a stable standing platform while in water and this will deprive you of flawless casting opportunities. 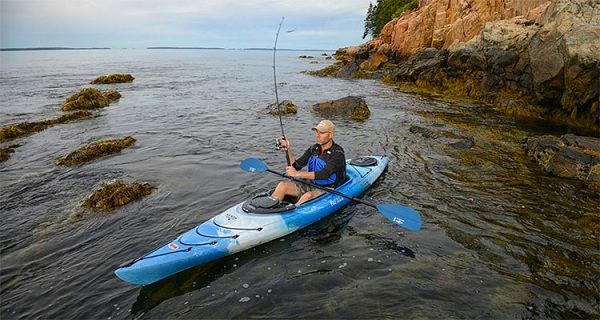 Additionally, there are no fishing rod handles on the kayak or any other type of fishing accessories, for that matter, so this isn’t going to be as convenient as you may want it to be. All in all, if you are looking for recreation kayaking in still water and even in some quicker currents in the river, this is one of the best option to take into account. It is fancy, it is sleek in design and it is reliable enough to enable you to handle a range of different undertakings. This is something that you might want to take into account. It’s a great unit and it is rather easy to transport it thanks to its smaller capacities and the fact that it is lightweight. Of course, you would still need to purchase the necessary kayak holders for your car.